President Trump’s son-in-law and senior adviser Jared Kushner said in an interview published recently that the administration will soon present its Israeli-Palestinian peace plan, with or without input from Palestinian President Mahmoud Abbas. On the surface, it would look like the chances of Jared Kushner pulling off a peace covenant between Israel and the Palestinians would be an impossible long shot to say the least. But Donald Trump becoming president in the way that he did is the very definition of impossible longshot. I have written extensively on how we feel that Donald Trump is God’s man in the White House as a judgment on the entire world, much like Obama’s presidency was God’s judgment on America as a nation. Could Jared Kushner, who owns a skyscraper located at 666 5th Avenue, actually pull this off? Based on everything that has happened over the last 18 months, I would be inclined to say that, yes, he sure could. And if he did, guess who that would make him? Yep, that guy. The interview came out after a weeklong trip around the region by Kushner and Mideast envoy Jason Greenblatt. The team met with leaders of Israel, Jordan, Qatar, Egypt and Saudi Arabia to discuss the worsening humanitarian situation in Gaza and the administration’s proposals for a peace deal. The Palestinians refused to meet with Kushner, and leaders have criticized the Trump negotiating team in recent days. Senior Palestinian negotiator Saeb Erekat accused Jared Kushner and Greenblatt of trying to topple the Abbas-led West Bank autonomy government and dismantle the U.N. aid agency for Palestinian refugees. Erekat doubled down on his criticism, telling Israel’s Channel 10 that the American negotiators are “not neutral” and predicting their peace plan would fail. It remains unclear how the Trump administration would proceed with a peace plan without Palestinian cooperation. Kushner said the plan is “almost done,” but offered scant details aside from the promise of economic prosperity. He made no mention of a Palestinian state arising alongside Israel, though he acknowledged that Arab partners support that goal. The Palestinians seek the West Bank, east Jerusalem and Gaza — territories captured by Israel in the 1967 Mideast war. Israel withdrew from Gaza in 2005, and two years later, Hamas seized control of Gaza from Abbas’ forces. Abbas now governs only small autonomous zones in the West Bank. Kushner cast doubt on Abbas’ ability to make a deal, alleging that the Palestinian leadership is “scared we will release our peace plan and the Palestinian people will actually like it” because it would offer them a better life. Palestinian leaders have refused to meet with the Trump team since the president recognized Jerusalem as Israel’s capital in December. Jerusalem is an emotional issue at the epicenter of the Israeli-Palestinian conflict. Israel captured the city’s eastern half, home to holy sites for Jews, Christians, and Muslims, in the 1967 Mideast war and annexed it. The annexation is not internationally recognized. Palestinians seek east Jerusalem as capital of a future state. “If President Abbas is willing to come back to the table, we are ready to engage; if he is not, we will likely air the plan publicly,” Kushner said. 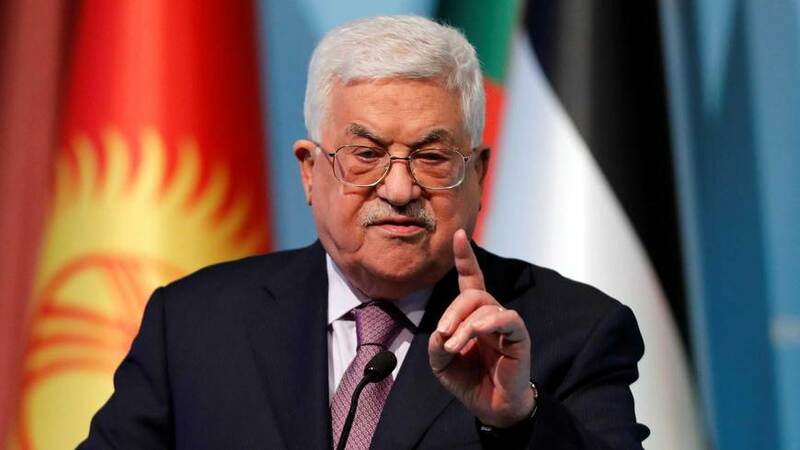 Abbas spokesman Nabil Abu Rdeneh responded to Kushner’s interview by restating that American efforts will yield no result if they bypass the Palestinian leadership, and if they are not aimed at an independent Palestinian state with east Jerusalem as its capital.